Win one of 10 copies and personalised artwork! 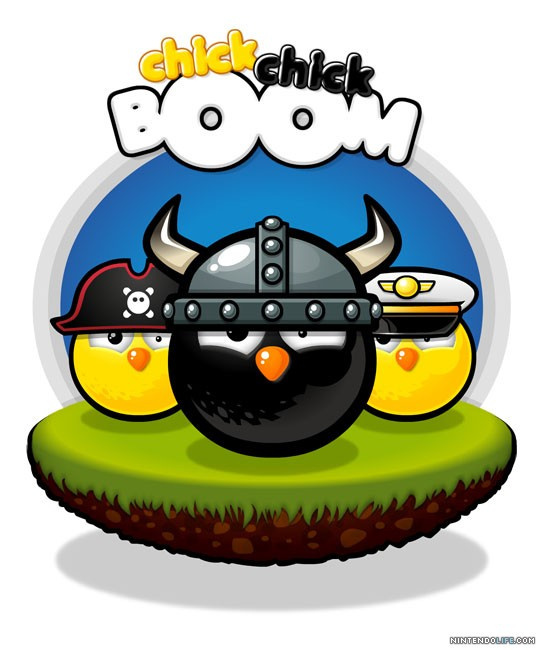 chick chick BOOM is a tactical action game for WiiWare from developer tons of bits. With a unique sense of humour, great artwork and plenty of action, it gained an impressive 8/10 in our review last week, and now we've teamed up with tons of bits to bring you a very special competition. We're offering 10 copies of chick chick BOOM as well as the chance to see your own chick team come to life. One lucky winner picked by Nintendo Life staff will receive personalised artwork of their custom chick drawn by the chick chick BOOM team! Want your chick to wear a Mario cap with your initial on it, or a bicycle helmet with messenger wings? It's your choice! There are some ideas at the bottom to get your inspiration going. Update: Thanks to tons of bits we are now able to open this competition up to residents of Australia and New Zealand too, and it has been extended until Sunday, November 14th! For a chance of winning, you must be a resident of Europe, New Zealand or Australia and in possession of a PAL Wii console connected to the Internet. You'll need to be following Nintendo Life on Twitter and keep an eye on our feed as we'll be posting a message that you'll need to retweet – that's all there is to it. We'll pick the 10 lucky winners before 8pm UK time on Sunday, November 14th, and one victorious champion will be contacted with details of how to claim his or her custom chick. 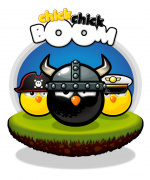 For more information about the game, be sure to read our chick chick BOOM review. Region: Europe, Australia and New Zealand only. Entry method: Follow Nintendo Life on Twitter and retweet the key phrase. Winners will be picked by Nintendo Life staff. Their decision is final and no correspondence will be entered into. Use the Contact form if you have any questions. Good luck to everyone! Will there be an Aussie contest sometime? Damn you nintendolife, you found my price for whoring myself and my twitter rep out. 800 points. You win.. Thanks to tons of bits we're now able to offer this to New Zealand and Australia too! "For a chance of winning, you must be a resident of Europe, New Zealand or Australia and in possession of a PAL Wii console connected to the Internet." And it runs until Sunday now. We're too good to you. No really, we are. Now no more grovelling - away with you! Thank you very much James for your efforts and this sweet opportunity for us and the gamers as well! Because the game isn't available in America, so you wouldn't be able to win. @Dragoon I'd just like to make clear that the 500 Points games were all generously donated from our own staff members' pockets, so a little gratitude wouldn't go amiss. Cheers. have fun guys. Unfortunatly, this game isn't even released in America yet, so there is no chance of us getting in on this competition. Might have to set up a twitter account now. Not on twitter... and want to buy the game anyway so good luck to all the peeps who enter! argh, NA's only got one contest recently, you guys have gotten 4 for crying out loud. @Xkhaoz This year we've run 10 competitions, of which 4 have been for Europe and 6 for the US. As always, we can only run competitions with what we are given or choose to donate ourselves. A personal plea: griping about not getting competitions actually only makes us less likely to offer contests in future. We all work extremely hard to provide you with contests, so please be grateful for what we are able to offer and don't complain when another region receives a contest. I don't say this just as an admin but as someone who gives up a huge amount of his free time to running this site and providing you guys with excellent content, contests and more. Thanks very much James for including Australia and New Zealand to this contest. I shall enter it later today. Yay! I qualify for once! @WiiLovePeace We'll be contacting via Twitter.